Live Learn Shine On: Double Surprise From Kylie - October K25 Day! 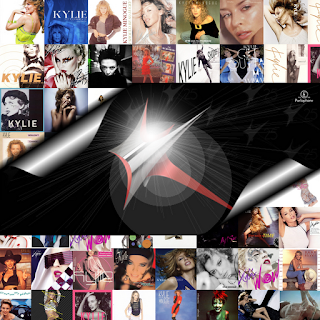 This has been one SPECTACULAR year, the year of celebration of Kylie's 25 years in music industry. Kylie and team have been spoiling us with amazing video (and not only!) 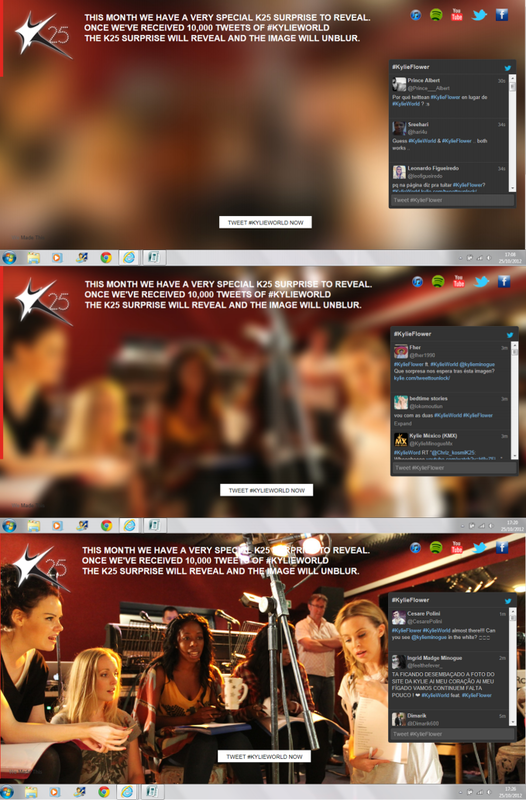 surprises throughout 2012. Today's the day of (already) 10th treat Ms Minogue and co. prepared for us. And it is not the first time that we get not one, but TWO specialties this month! To warm us up for the big night, we'll be treated to something at 12p.m. UK time first. This month you’ll need to tweet #KylieWorld 10,000 times to reveal a very special video. First surprise for today if the Flower lyric video fans all over the world have been sending the entries for at the beginning of the month! BEAUTIFUL job, everybody!! The main surprise, #tweettounlock one has arrived and it is Kylie's 2002 hit Come Into My World from The Abbey Road Sessions!! It is not just a video, it has a Kylie message at the beginning and a very sweet "come, come, come into my world" whispers after it was finished :) Check it out! Since January, every K25 day becomes a Kylie day on Twitter. This month, of course, was not an exception ;) Fans have been tweeting #KylieWorld 10.000 times to get the special video and our World became a KylieWorld as the it was a trending topic in different places around the globe.